Before getting married, there is so much to think about. If you are (or have been) in this fortunate position, you will know what we mean. You need to choose the right venue, decide on your bridal style, and pick your honeymoon destination, as examples. There is much to do, and in amongst your wedding checklist, there is one very crucial part that no woman (or man) should forget. The wedding ring. Here are some of the factors you need to consider. Your personal style. There are many beautiful rings to choose from, but you need to narrow down your choices to make buying something easier. One of the ways to do this is to consider the personal style you are going for. Do you want something simple, or are you looking for something with embellishments? Does a particular gemstone take your fancy, or do you prefer something less showy? Do you want to match your engagement ring, or do you want to mix things up a little? 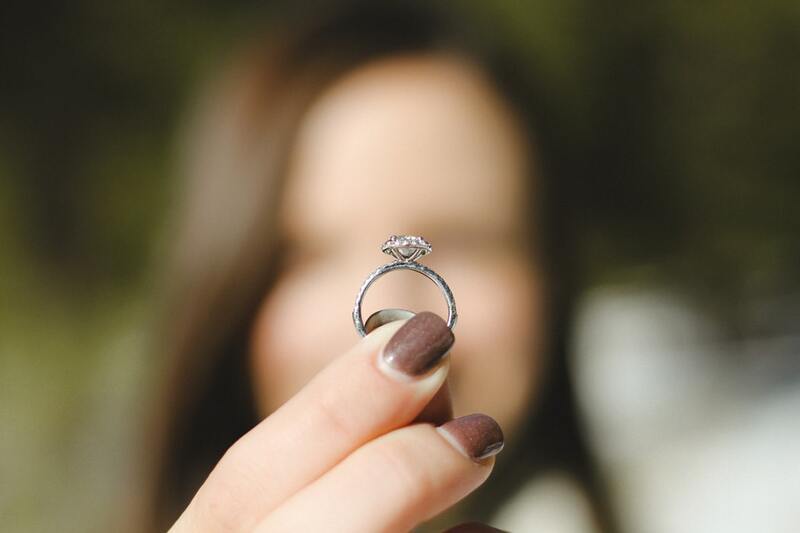 You will (hopefully) be wearing your ring for life, so you do want to find something that you will be happy wearing for many years to come. Consider your choices, and find something that will fit your style (and finger) perfectly. Your budget. Weddings are notoriously expensive, and a percentage of your budget will be going on your wedding ring. While you don’t want something that looks like it came out of a Christmas cracker, you don’t want something that is going to cause you bankruptcy, either. The wedding band is one thing to consider, but then there are the embellishments, such as added gemstones and engravings. The price will go up accordingly, so factor extras into your budget. When it comes to gemstones, diamonds may be a girl’s best friend, but you may want to choose a cheaper gemstone, such as an amethyst or a sapphire. When it comes to the personalised engraving, each letter will add to the price, so you may prefer your initials rather than your name, especially if your moniker is a long one! Know your budget and stick to it! Your lifestyle. You will be wearing your ring every day, so you do need to choose something that won’t get in the way of your life. Rather than taking it off, and risking losing your precious ring, you should purchase something that will seamlessly fit within your lifestyle. You might want to consider platinum and silicone rings, as examples. Both are durable and safe to wear, no matter what activity you are involved in. Choosing something without gemstones is another good choice, especially if the stones are in danger of coming loose if you use your hands regularly for sport or work. You don’t need to forsake style for comfort, so shop around for something that will accommodate your needs, day in and day out. Your finger size. To say you need a ring that fits your finger is a no-brainer. However, you should schedule your ring fitting at the right time. The temperature can cause your fingers to swell, as can other external factors, such as weight gain and exercise. So get your ring fitted when your fingers are at their regular size. Take heed of the jeweler’s advice too, letting your head rule over your heart when looking for a ring that fits. If mistakes are made, you can always go back to make adjustments later, although depending on your jeweler, you may have to pay for them. After considering these factors before buying, there is one more thing to remember after purchase. The wedding day itself! Don’t let the page boy/best man forget the rings on the big day! If you are getting married soon, we hope you have a fantastic day, and that the partner you have chosen fits you as perfectly as your ring does! Take care, and thanks for reading.